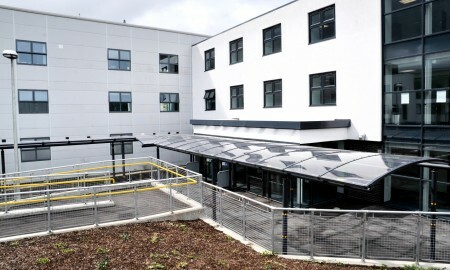 Hanson School was part of the redevelopment of the Bradford Schools under the Bradford BSF programme. 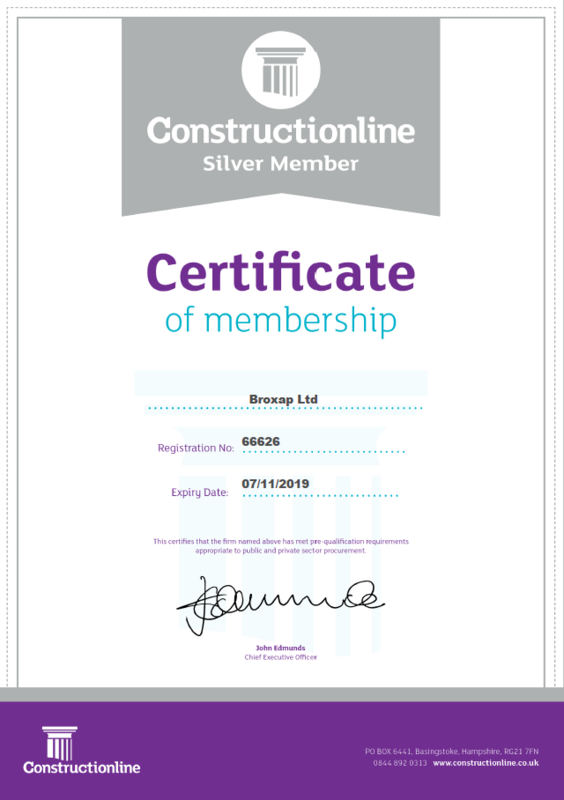 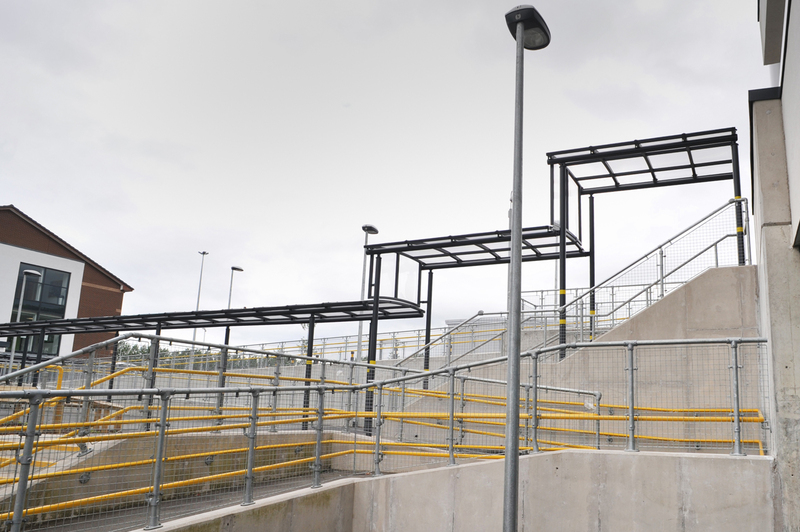 Broxap has worked closely with Costain on a number of the projects to provide a wide range of solutions based on the site requirements. 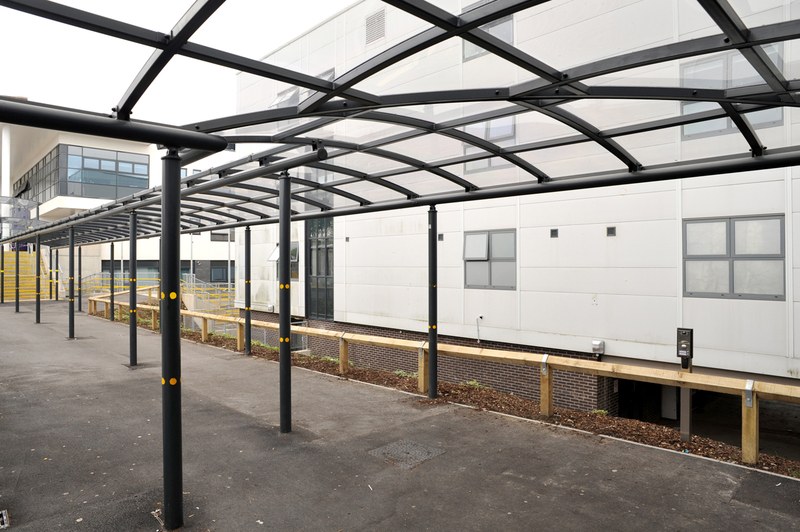 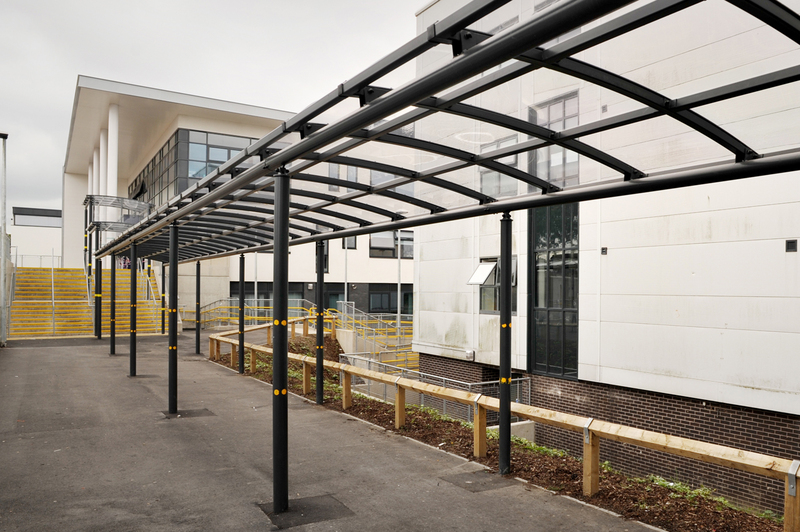 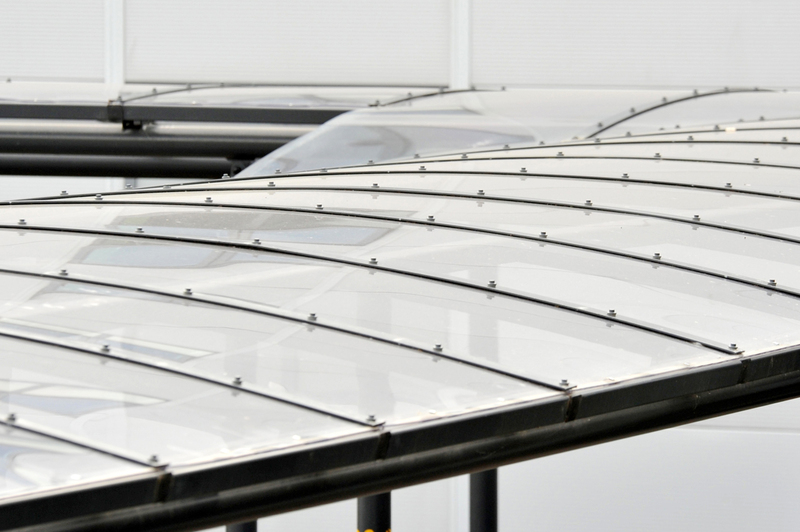 We have provided bespoke canopy solutions to a number of the schools as required by the project thus demonstrates our wide range of canopy options to call on. 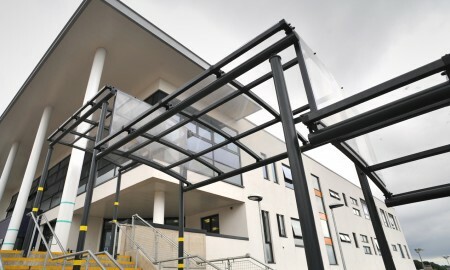 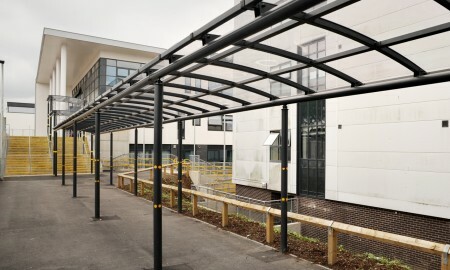 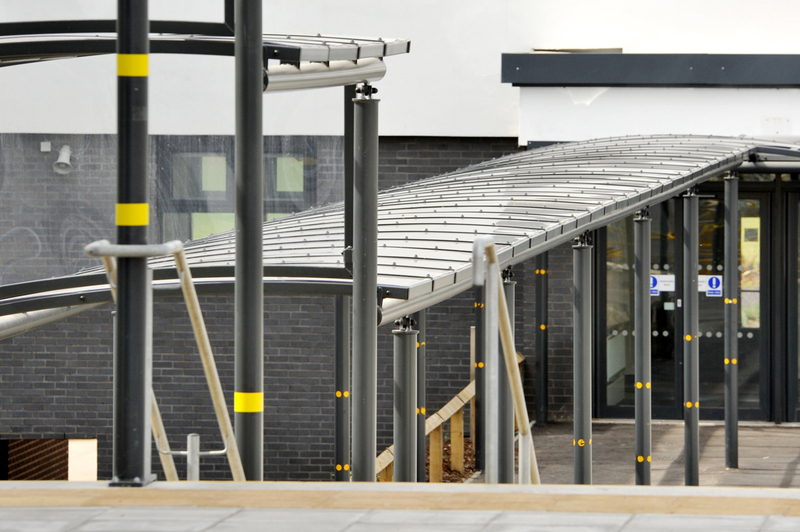 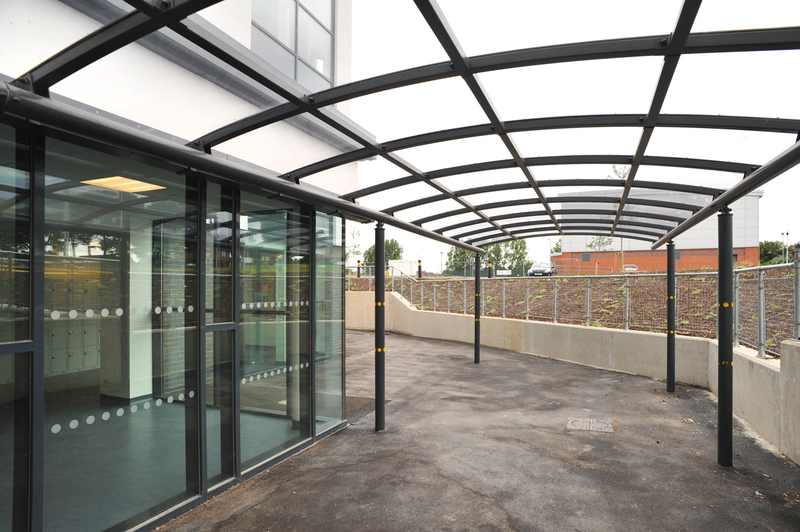 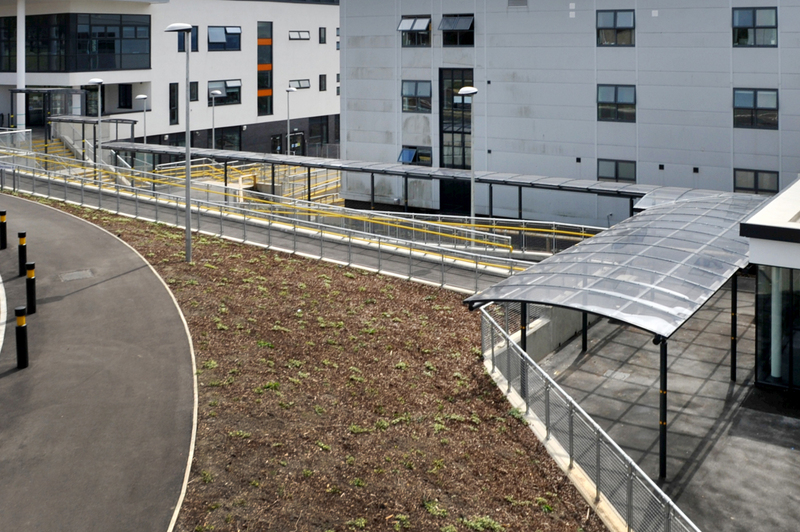 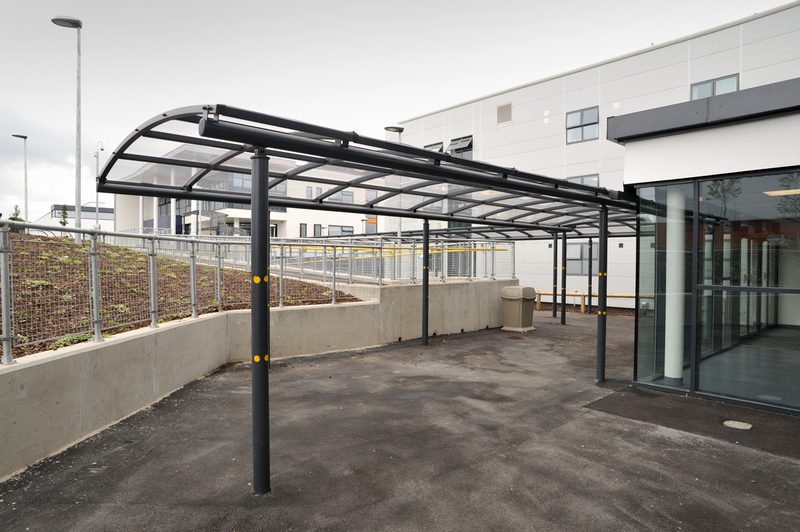 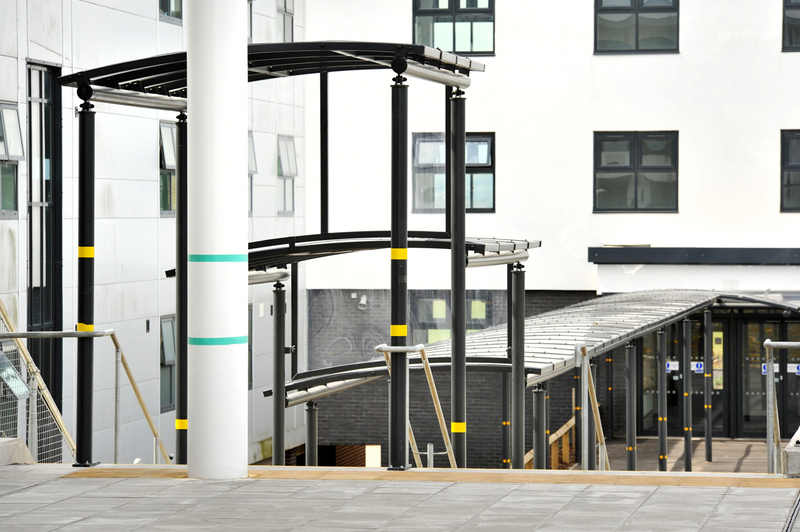 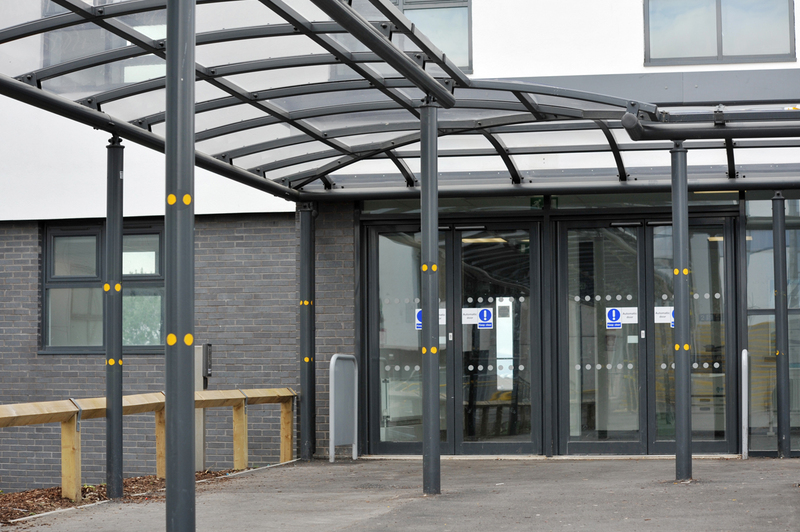 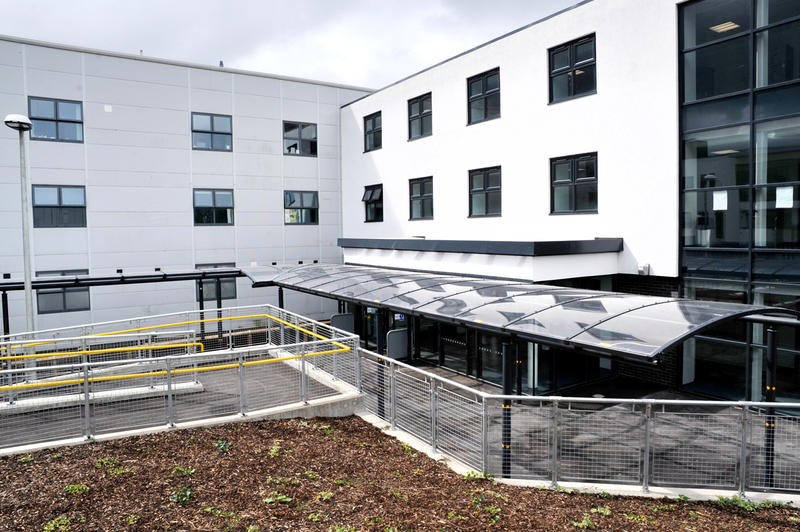 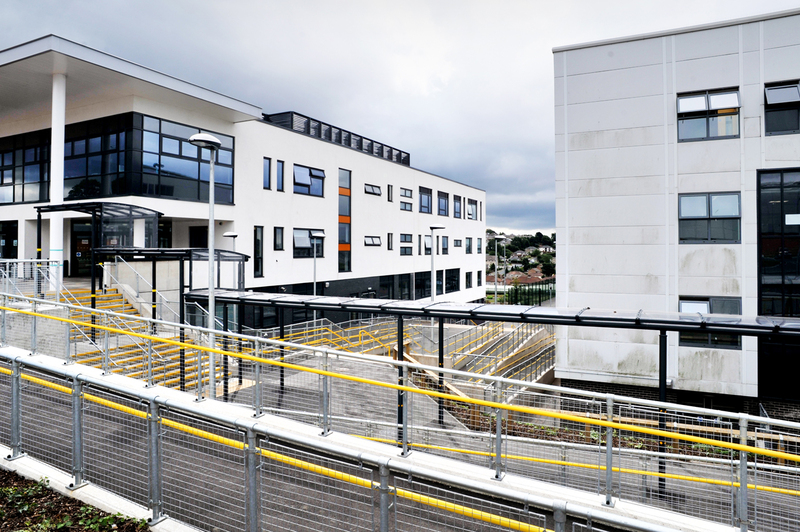 This project saw Broxap provide a solution to a part new build and part refurbishment Academy School which required a covered walkway between two buildings. 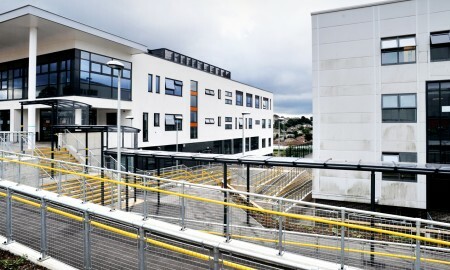 The tricky part of the project however was that the two buildings entrances were at different levels and accessed via an external set of steps. 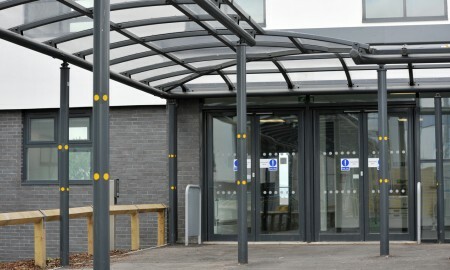 The doors were also on different orientations requiring changes in direction as well as level. 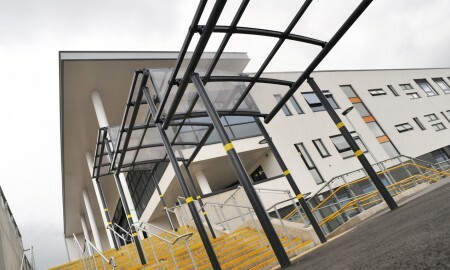 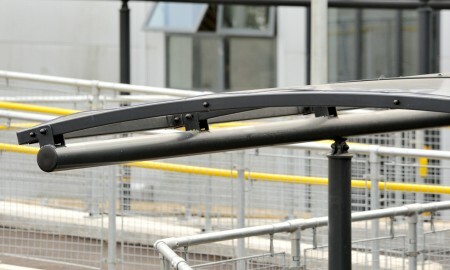 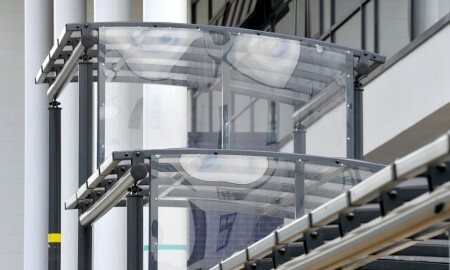 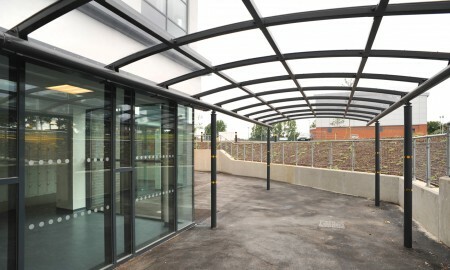 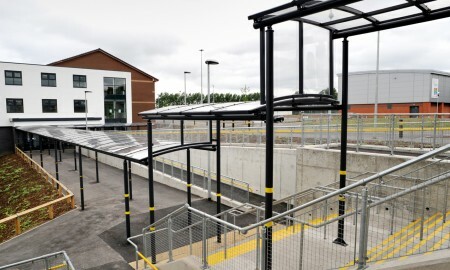 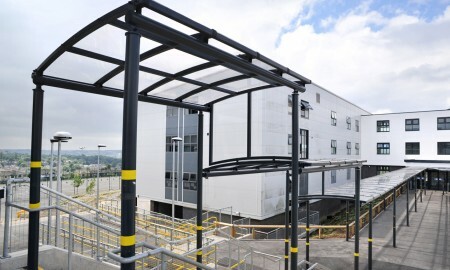 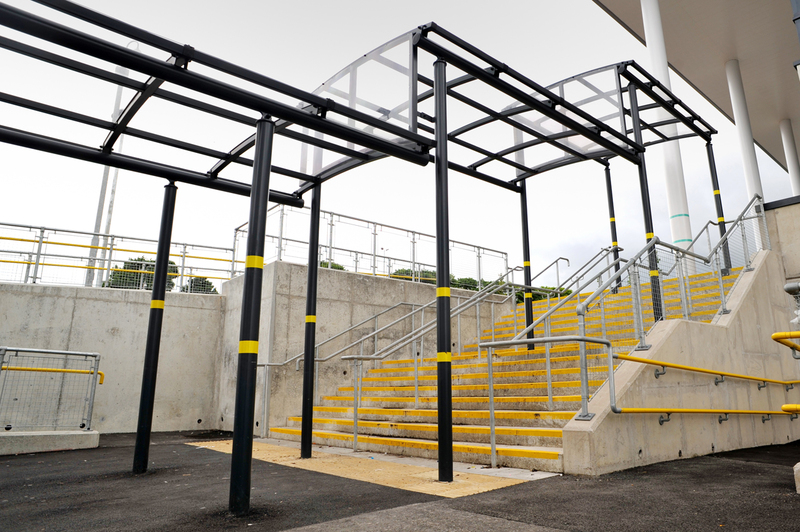 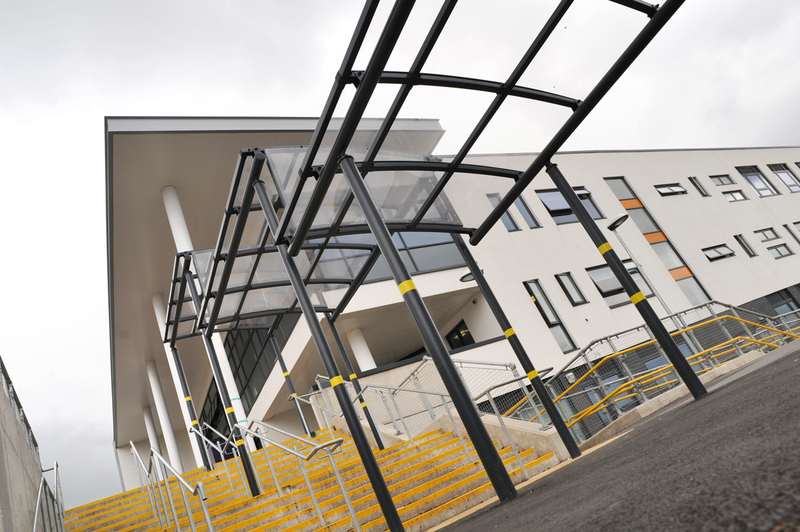 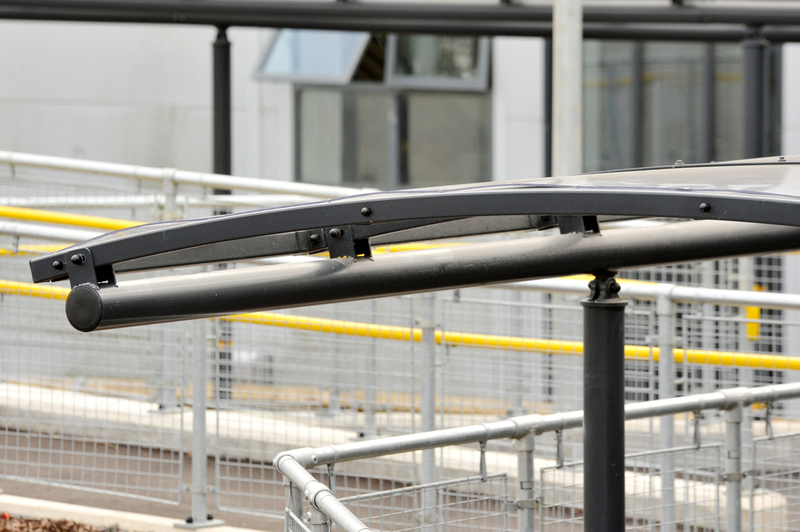 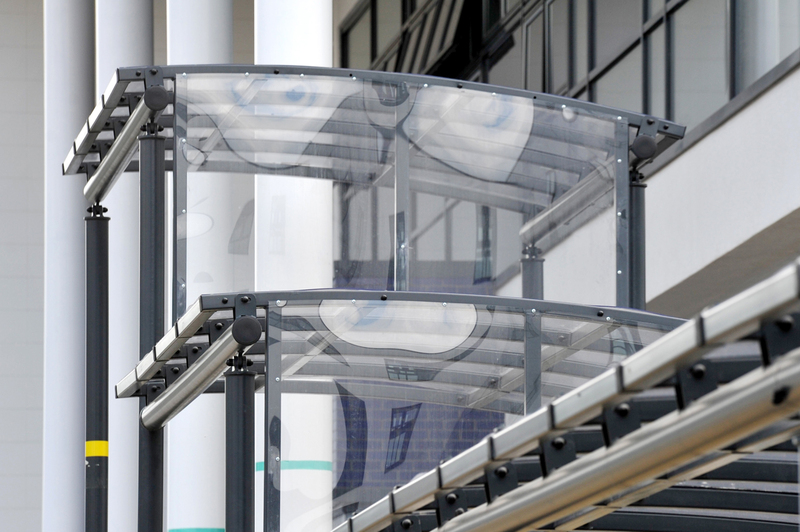 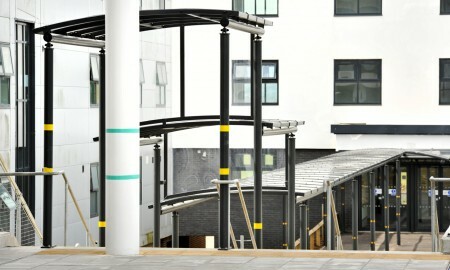 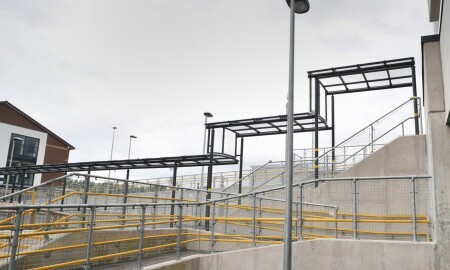 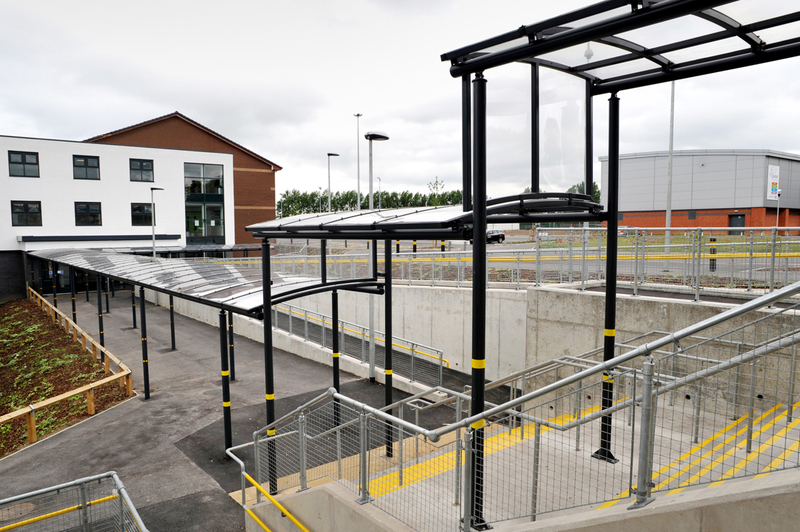 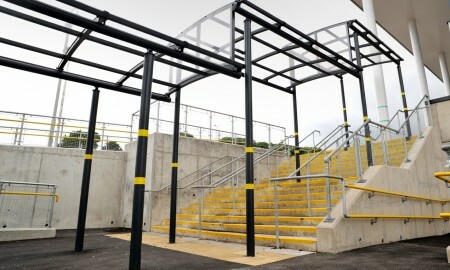 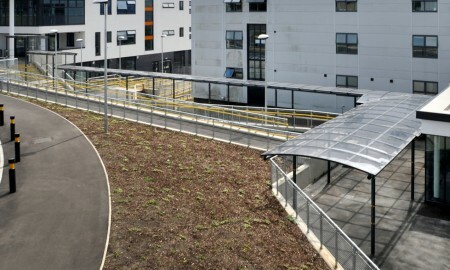 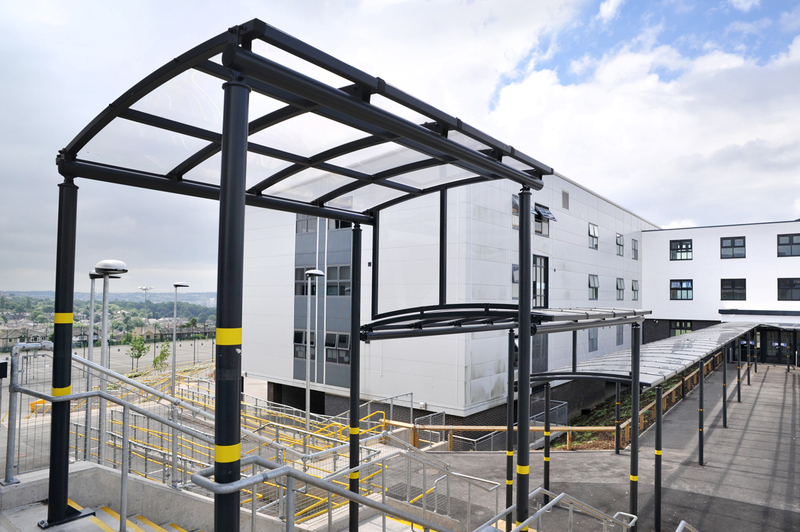 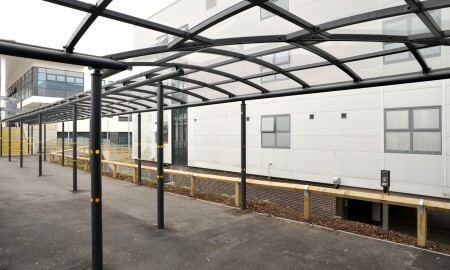 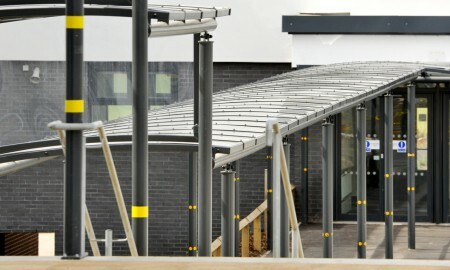 Broxap answered this problem by taking a standard walkway canopy, incorporating a ‘stepped’ element within a bespoke version of the Luton Walkway to keep pedestrians covered as they used the steps towards the nearside of the building allowing total coverage from building to building across the different levels. 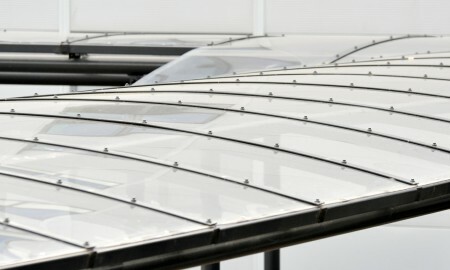 We also created a crank in the line of the canopy to change direction but also a reduction in width from 1 direction to the other. 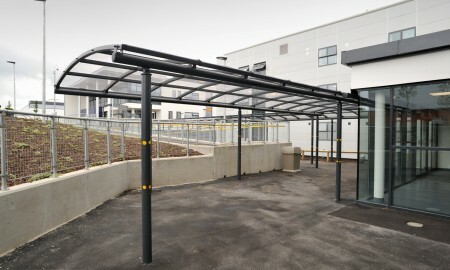 Broxap also provided a cycle parking solution in the way of a Wardale cycle shelter.